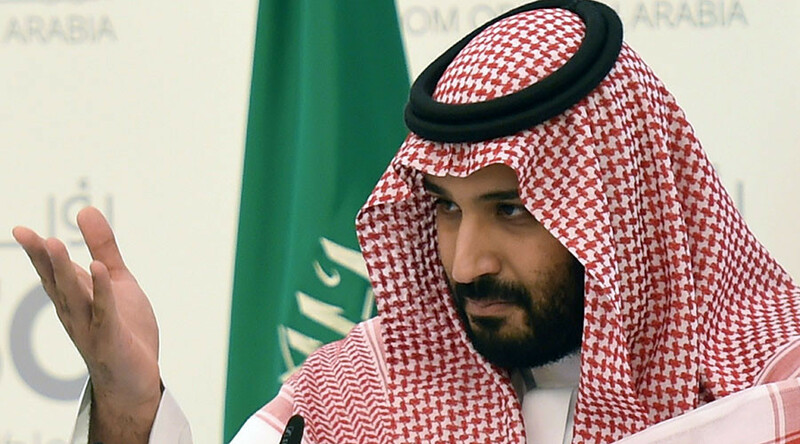 It’s impossible to build bridges between Saudi Arabia and Iran due to Tehran’s “extremist ideology” and ambitions to “control the Islamic world,” Saudi Deputy Crown Prince Mohammed bin Salman al-Saud, the kingdom’s defense minister. The official shared his views in an interview with MBC television, broadcasted by Saudi media. Asked if there’s any room for dialogue with Iran, the 31-year-old prince replied: “How can I come to an understanding with someone, or a regime, that has an anchoring belief built on an extremist ideology? What are the interests between us? How can I come to an understanding with this?” he said, as cited by AP. “We know we are a main target of Iran." “We know that the aim of the Iranian regime is to reach the focal point of Muslims [Mecca] and we will not wait until the fight is inside Saudi Arabia and we will work so that the battle is on their side, inside Iran, not in Saudi Arabia,” the official noted, according to Reuters, without giving further details. Ties between Saudi Arabia and Iran have been strained since Iran’s 1979 revolution, which saw the overthrow of a pro-Western leader Mohammad Reza Shah Pahlavi, supported by the US, and Shiite religious authorities coming to power instead. Iranian Islamic revolutionaries called for the overthrow of monarchies and their replacement with Islamic republics, raising concerns of minority Sunni-run Arab neighbors like Iraq, Saudi Arabia and other Persian Gulf States most of whom were monarchies. Relations reached a low in 2011 when people took to the streets across the Arab world during the Arab Spring protests in which (predominantly Shiite) Iran supported Shiite forces, while Saudi Arabia (predominantly Sunni) back the Sunnis respectively. 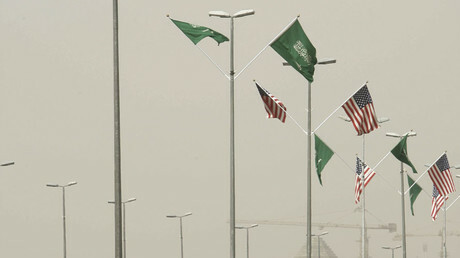 In January 2016, Riyadh severed diplomatic ties with Tehran after angry Iranian protesters stormed and set ablaze the Saudi embassy the Saudi Embassy in Iran during a rally in condemnation of Riyadh’s execution of prominent Shia cleric Sheikh Nimr al-Nimr, accused of inciting riots among Saudi Arabia’s Shia minority between 2010 and 2012. After cutting diplomatic ties with the Islamic Republic, Saudi Arabia's foreign minister accused Iran of creating “terrorist cells” inside the Sunni kingdom. Iran’s Supreme Leader, Ayatollah Ali Khamenei, then issued a statement, warning that “divine vengeance” would surely befall Saudi Arabia because of its execution of Nimr and condemning Riyadh for its bombing campaign in Yemen and support for the Bahraini regime. On Tuesday, Prince Mohammed defended the kingdom’s decision to go to the Yemen war, saying that the Houthis could actually be uprooted “in a matter of days,” but Riyadh has not sent ground troops to retake the capital and other major cities because this would lead to thousands of deaths among Saudi soldiers and Yemeni civilians. “Time is on our side. Patience is on our side,” he noted. More than 13,000 civilians have been killed or injured since the Saudi-led coalition started its air campaign against Houthi rebels in March 2015. 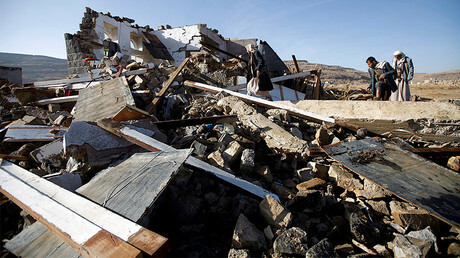 Riyadh said its operation was aimed at restoring the power of ousted President Abdrabbuh Mansour Hadi, while also accusing Iran of supporting the Houthis. Tehran has brushed off the allegations. 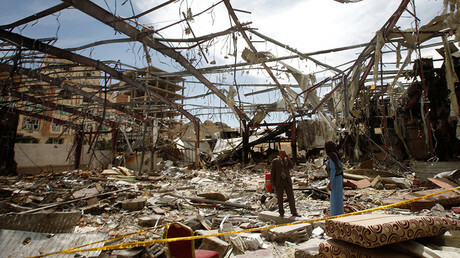 Riyadh and its allies have in turn been accused of war crimes by humanitarian groups, saying Saudi-led airstrikes hit residential areas and public gatherings on numerous occasions. Late last month, the UN appealed for $2.1 billion to prevent the “starving of an entire generation” in Yemen. The two countries are also at odds over the situation in Syria. Riyadh is standing against the involvement of Iran’s Islamic Revolutionary Guard Corps (IRGC) and the Hezbollah group in Syria. “We would like to put an end to Iran’s involvement in the region,” Saudi Foreign Minister Adel Jubeir said after talks with Sergey Lavrov in Moscow last week. Russia’s Foreign Minister countered this view, noting that Iran, as well as Hezbollah, are operating in Syria at President Bashar Assad’s official request.